The newly started European Commission LIFE project NanoMONITOR addresses the challenges of supporting the risk assessment of nanomaterials under REACH by development of a real-time information and monitoring system. 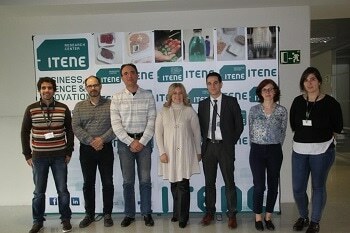 At the project’s kickoff meeting held on the 19th January 2016 in Valencia (Spain) participants discussed how this goal could be achieved. Despite the growing number of engineered nanomaterials (ENMs) already available on the market and in contract to their benefits the use, production, and disposal of ENMs raises concerns about their environmental impact. Develop a novel software application to support the acquisition, management and processing of data on the concentration of ENMs. Develop an on-line environmental monitoring database (EMD) to support the sharing of information. Design and develop a proven monitoring station prototype for continuous monitoring of particles below 100 nm in air (PM0.1). Design and develop standardized sampling and data analysis procedures to ensure the quality, comparability and reliability of the monitoring data used for risk assessment. Support the calculation of the predicted environmental concentration (PEC) of ENMs in the context of REACH. Throughout the project’s kick off meeting, participants discussed the status of the research area, project goals, and expectations of the different stakeholders with respect to the project outcome. The challenge is to conduct frontline research to solve a number of important but still open research questions while at the same time designing a real-time information and monitoring system to support the risk assessment of nanomaterials while promoting the protection of human health and the environment thus contributing to the support the monitoring of REACH compliance and its impact on risk mitigation and prevention. The next partners’ meeting takes place 14-15 June 2016 in Athens, Greece and will discuss progress so far next steps and will also present the project to the external monitoring team.